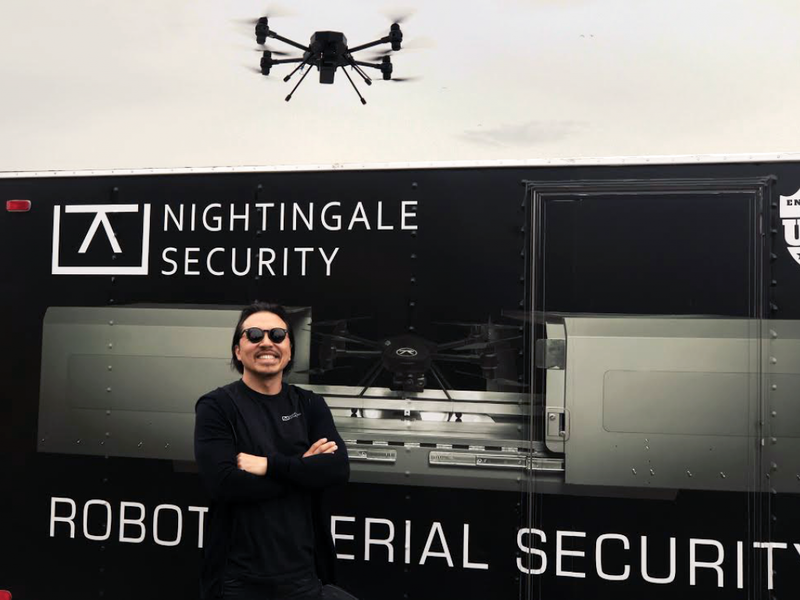 Jack Wu is the co-founder and CEO of a robotic aerial security company: Nightingale Security. He grew up in a military family and, while other kids were watching cartoons, his dad had him watch military documentaries with him – because they only had one TV. “My passion for military strategy and equipment led me to discover the importance of surveillance technologies. That understanding, combined with my deep interest in robotics, was the genesis of Nightingale Security,” Wu told Benzinga in a recent interview. 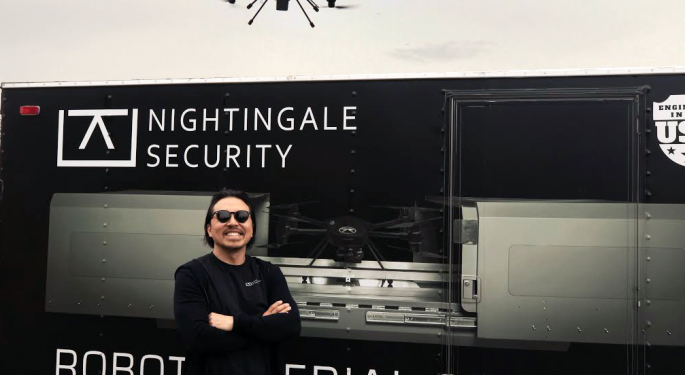 “Nightingale is the leader in Robotic Aerial Security – using intelligent software and continuous learning to autonomously protect large, remote and valuable assets for Fortune 500 corporations,” Wu explained. He likes to define Nightingale’s business model as a RaaS model: Robot-as-a-Service. It’s similar to Oracle Corporation ORCL 1.09%’s SaaS business, which combines its hardware platform with software, to provide a subscription-based enterprise solution. “We are building a market leading RaaS business with room for future expansion into other enterprise drone applications,” Wu said. As Wu grew older, his interest in robotics deepened. Many people might think starting a tech company is San Francisco is easy, but this couldn’t be further from reality. So, what advice can Wu share for others looking to start a tech company? “First ask yourself the question: Is the technology solution you are offering, cheaper, better and faster than existing solutions? If it doesn’t qualify all three criteria, you might not have the right solution, no matter how big the potential market might be,” he said. “The quote inspires me to maximize immediate opportunities everyday. As an entrepreneur, I am keenly aware that though I can raise more capital, I can’t raise more time,” Wu said. The Benzinga Fintech Summit is the premier gathering of West Coast fintech innovators. The second installment of the event, which takes place Nov. 14 in Sn Francisco, brings with it a special focus on a maturing fintech sector—the revolutionized lending industry. Click here to learn more!